Tulip Necklace showcases the simple beauty of the tulip flower. 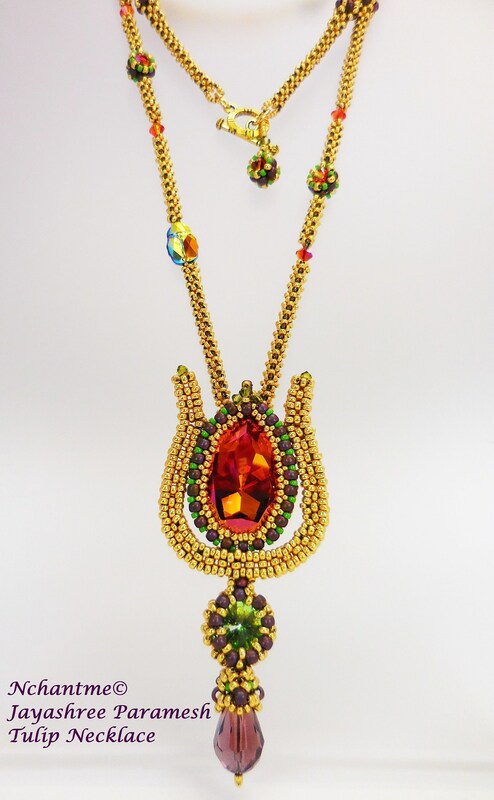 A large pear-shaped Swarovski crystal forms the center with minimalistic petals stitched with seed beads. It is finished with more crystals forming a decorative stem. 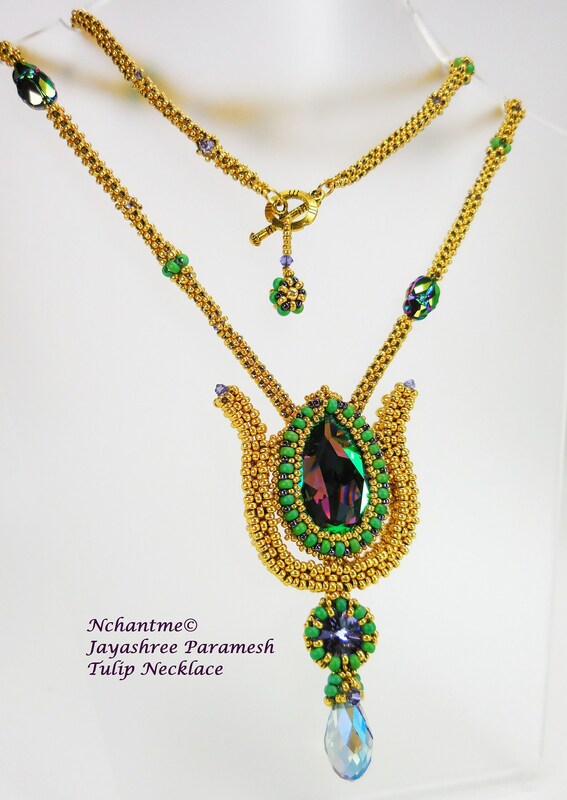 Tulip pendant hangs from a beaded chain which is embellished with Swarovski crystal beetles and other crystals and seed beads. Techniques: Cubic Right Angle Weave stitch, peyote and other embellishment stitches. Length: 28” long w/o pendant. Pendant drop 3 ½”. Level: Suitable for beaders who are confident with CRAW stitch. Tutorial contains a step-by-step pattern in English with 95 digital illustrations in color.